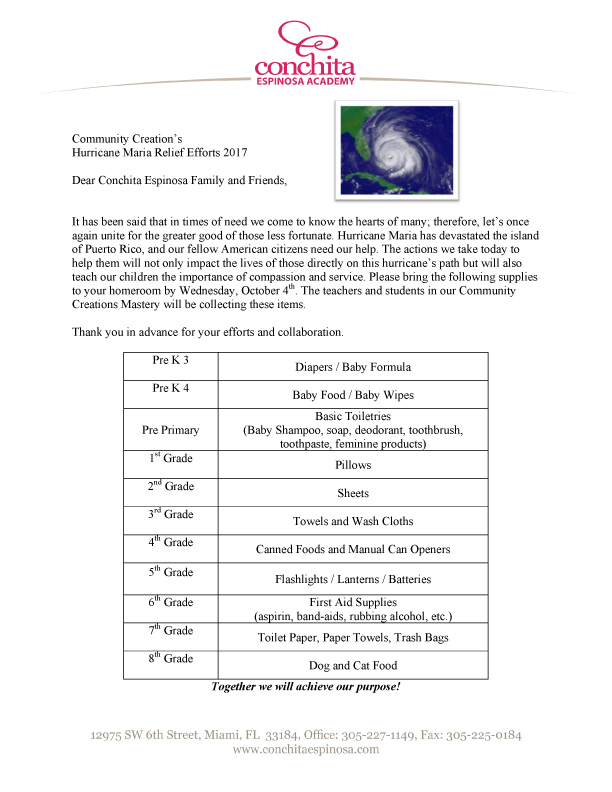 Community Creations Mastery Hurricane Maria Relief Effort Deadline is October 7th. Conchita Espinosa Academy is accredited internationally, nationally and regionally by Accreditation International (AI), National Council for Private School Accreditation (NCPSA), National Independent Private Schools Association (NIPSA) , the Middle States Association (MSA), the Southern Association of Colleges and Schools (SACS), and the Association of Independent Schools of Florida (AISF). We are also members of the Independent Schools of South Florida (ISSF). Designed by an alumni, class of 1980.